Prints from our Prints & Pints show on January 17th, 2014. 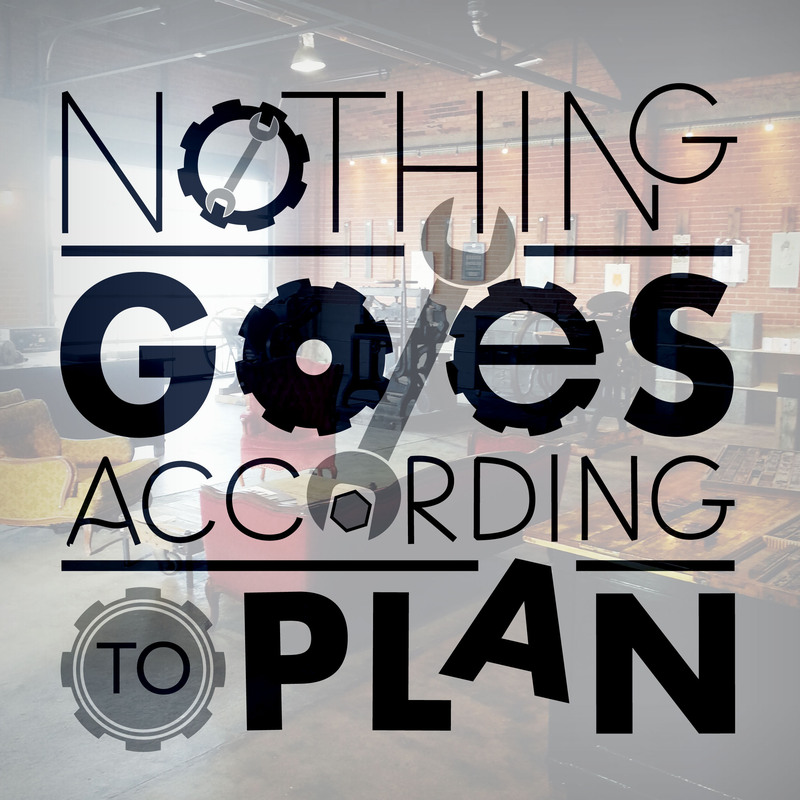 20 artists were invited to design a piece on the theme "Nothing Goes According to Plan." All pieces were letterpress printed at The Mandate Press on French Construction 100# Cover in Cement Green, PMS 317 & 1485 U. All prints are either 8x10 or 11x17. For the "Nothing Goes According to Plan" installment of our Prints & Pints series, each artist’s work highlights a phenomenon that we know to be true: that while things always seem to work out, they rarely work out exactly as we planned. By showing us how unexpected outcomes, obstacles or disappointments can influence even our best laid plans, the exhibit reminds us that these experiences teach us things about ourselves that we might not otherwise learn. And in the end, it is the mix of these experiences that make us who we are.